A Virtual Assistant is a highly skilled small business owner who provides other business owners with a variety of administrative services tailored specifically to their clients' needs. A Virtual Assistant is a small business owner who provides her own home office space, supplies, software and systems. She is responsible for paying her own taxes, insurance, and keeping up-to-date on her professional skills. She is an independent contractor who is used on an "as needed" basis for specific tasks and projects. What is the difference between a Virtual Assistant and an Administrative Assistant? The main difference between the two is that a Virtual Assistant works remotely via cloud-based platforms, while an Administrative Assistant is physically at your location. Are there hidden costs to hiring a Virtual Assistant? Absolutely not. All aspects of cost are negotiated and included in the contract signed between parties - including any potential mailing fees and travel expenses. If an unexpected cost arises, the client will be notified immediately and an amendment will be negotiated and signed before the task or project resumes. 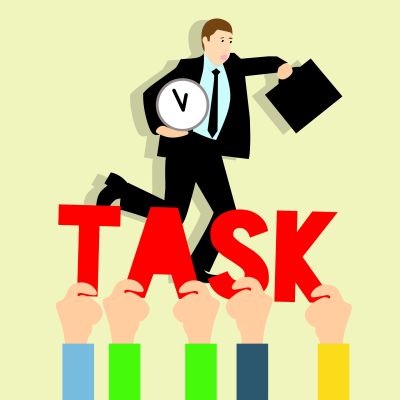 How quickly will tasks and projects be completed? General administrative tasks should have a turnaround time of no more than 1-24 hours. However, depending on the complexity of the task or project, that time can be increased. Do I need to provide training for any of the tasks or projects I wish to have completed? That depends on how intricate the task or project is. Outside of the initial conversation to determine your needs, there may be times when a task or project must be completed a specific way due to state or federal regulations or company preferences. Details on how that will be accomplished will be deliberated during the negotiation process. Are you willing to come to my office to complete some tasks or projects? Most tasks and projects can be completed remotely. However, depending on the type of project, urgency, and whether you are local, travel to your location can be arranged. How do you plan to keep my company information safe? Confidentiality is paramount for Atwood, LLC. Without it, trust cannot be gained between parties. All company information - hard copies and digital files - are locked up each night in a safe location. Digital files are downloaded onto a removable backup hard drive. Are there other questions not answered here or are you looking for additional information? Shoot us an email and we will respond within 24 hours.